Home » Autos and Vehicles » What’s the Best Car United Bravo 2018 or Suzuki Alto 2019? What’s the Best Car United Bravo 2018 or Suzuki Alto 2019? Today we will talk about the best car that you can purchase easily in Pakistan at affordable rates with advance features and technology. 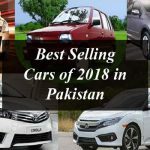 There are a number of automobile companies in Pakistan that are keep coming with the new cars but everyone can’t afford to buy them. On the other hands there are also local vendors in the country like the Pak-Suzuki and the United Motors. 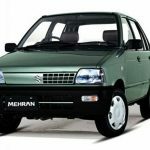 Pak-Suzuki no doubt is very much famous among the people and people prefer to purchase the Suzuki Mehran, but the company has decided to bring the end of the Mehran and all set to introduce the all new Suzuki Alto 2018 with advance technology and features. United Motors on the other hand launched the United Bravo 800cc car in this fiscal year. The United Motors 800cc car contains the advance features and part that are not included in any of the locally made 800cc hatchbacks in the country. United Bravo 800cc car that looks like the Suzuki Mehran, incorporates advanced features and technologies United Bravo features include power windows, infotainment unit, touchscreen infotainment system, digital speedometer cluster, rear parking camera, seat-belt warning indicator, RPM and speedometer dials, wooden trims Interior, alloy wheels and a remote keyless system and much more. It will come equipped with 800cc 3-cylinder, water-cooled engine producing 40 BHP and 60 NM torque with four-stroke unit and 4-speed manual transmission. Presently the car is available for pre-book is the white color option only. The official price of United Bravo car is Rs.850,000 PKR. 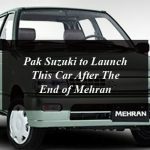 After the end of Mehran the Pak-Suzuki will launch the all new Suzuki Alto 2019. The new Suzuki Alto will be having the 660cc engine (earlier it was reported to have 800cc engine) and will hit the market in the first quarter of 2019. The company has decided to completely manufacture the latest Suzuki Alto 660cc in Pakistan but the reports suggest that the engine will be imported with the locally developed transmission, similar to one that is available in the currently assembled Suzuki Wagon R.
The interesting thing about the Suzuki Alto 2019 is that it would be a fuel efficient hatchback and is especially designed using the ‘Suzuki Green Technology’ and the company claimed that its fuel economy is 37km/liter, which is very competent for a non-hybrid car. Other specs may include Keyless Entry, Push to Start, Traction Control & VSC, 7 Airbags, Collision Alert, Retractable Side Mirrors and many others. The hatchback will be available in three variants; two manual variants and one fully loaded automatic variant. The high spec manual and fully loaded auto variant will come with a power steering. For grabbing your hands on the Alto 600cc you will have to wait till the first quarter of 2019. There is no official confirmation regarding the prices as well, but it could be said that the new car by Pak-Suzuki will retail in between 8 to 9 lacs for the manual variants while the fully loaded automatic variant will be sold in more than one million. So readers you may have read the specifications of both new cars the Bravo and Alto. Both are locally manufactured cars and have the advance features. The Bravo contains the 800cc engine whereas the Alto will come equipped with the 600cc engine with Suzuki Green Technology’. The United Bravo is available in single variants while the Alto will come having the tree variants. So the choice is completely yours, either you want to buy the United Bravo 800cc car or if you are interested in Suzuki Alto 600cc you have to wait till 2019. For further updates stay in touch with daytimes.pk. What car you should buy in 2019 here’s the contrast and comparison of United Bravo 2018 or Suzuki Alto 2019. What’s the Best Car United Bravo 2018 or Suzuki Alto 2019?